The Chrysler Foundation is looking to light a spark in young children interested in science and technology. 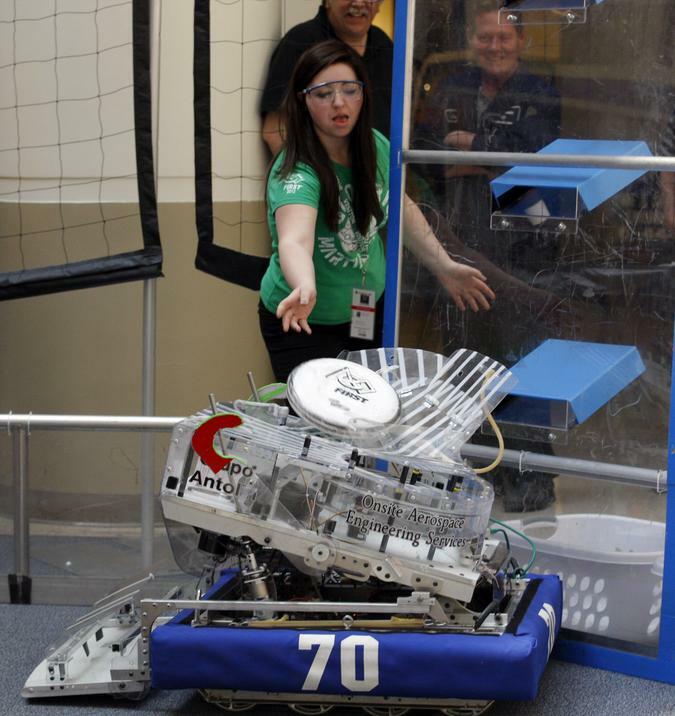 Last week, the organization announced they would be contributing $229,000 worth of grants to support FIRST Robotics (For Inspiration and Recognition of Science and Technology) teams and organizations in Arizona, Illinois, Indiana, Michigan, and Ontario, Canada. 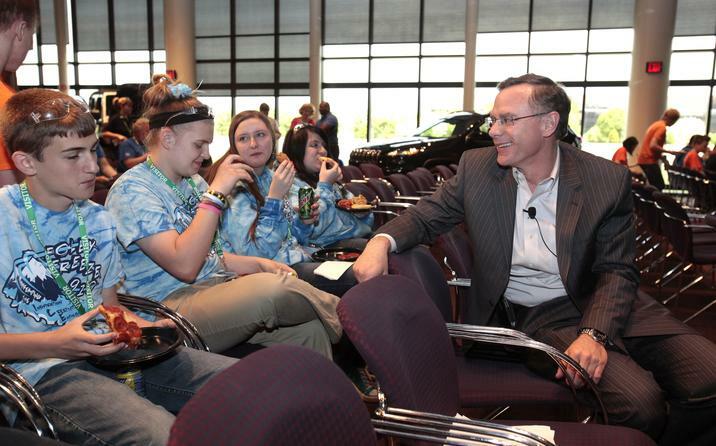 Senior Vice President Mark Chernoby of Chrysler Group LLC talks with students during the FIRST Robotics Appreciation Day. With these grants, more than 1,000 middle and high school students will be able to discover the merits of science and technology while competing in the annual international robotics competition. The 2014 FIRST Robotics’ design and build season began on January 4, kick starting the beginning of the season. Teams will be able to compare notes, get ideas, make friends, find mentors, and more while they prepare to get their robotics on. 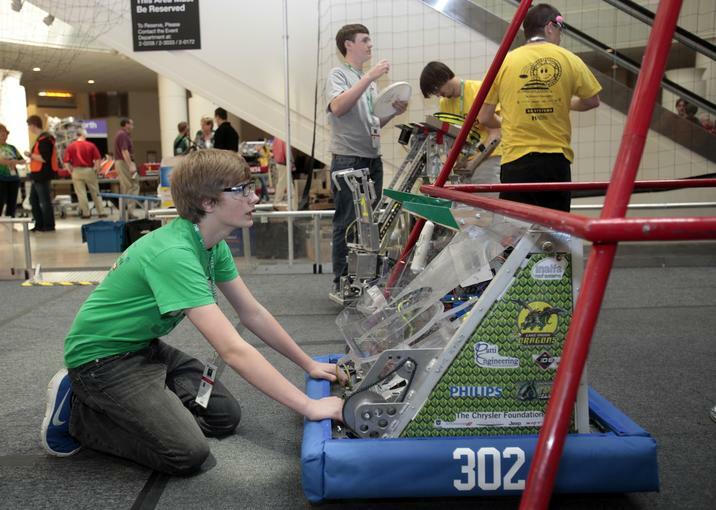 Student from Lake Orion High School prepares his team’s robot for the competition. For a full list of schools that received $5,000 grants each from The Chrysler Foundation, read Chrysler’s official press release on their contribution to FIRST Robotics. At FIRST, the teams had to build robots that were capable of competing in a techy version of disc golf. This student from Goodrich High School loads her bot with frisbees. Students from Assumption College Catholic High School makes adjustments to their robot.